Styled with eau claire hat . That was easy. 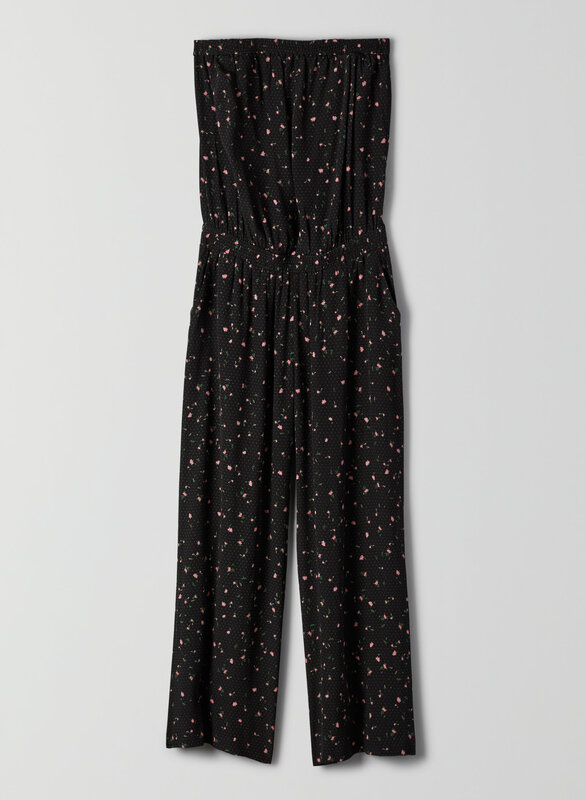 This is a pull-on jumpsuit with a smocked waistband, wide leg and slash pockets. It's made with a drapey woven crepe that has a slight sheen to it. This version of the Taggie comes in a vintage floral print.